All orders must be placed before 1pm to ship that day. Please note we operate from Monday to Friday 9am - 5pm. Delivery to a Business address or a Post Office is preferred for security purposes. Please note that we accept International orders but freight via Australia Post will be calculated prior to check out. Orders for products that are in stock will normally be shipped on the same working day. The delivery address should be a day time address that will be attended as a proof-of-delivery signature may be required. 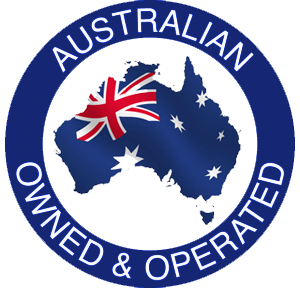 Australia Post will not leave goods at unattended premises without prior authorisation from you to us . * Note: Deliveries to remote locations in Australia may incur additional shipping costs and an additional day or two for delivery. Deliveries by Australia Post eParcel Express to major surburban areas are usually overnight whilst a further day can be expected for other areas. Australian orders in excess of $165 inc gst will only be shipped Freight Free via Australia Post eParcel Standard Service. Please note that we accept International orders but freight via Australia Post will be quoted prior to check out.